Yum! I have always loved Clam Chowder. Because we don't eat out often, I rarely got to enjoy it until I learned to make my own from Family Feasts for $75 a Week by Mary Ostyn. This great resource has a recipe for Cheesy Corn and Potato Chowder and a suggestion for transforming it into Clam Chowder. I've adapted it slightly by omitting the bacon, swapping cornstarch for flour, and using half-and-half rather than a combo of heavy cream and milk. This change makes it a little bit healthier by reducing the fat calories and still keeping the creaminess. It is oh, so good. We love to have this for dinner with homebaked bread and butter. Heat olive oil in a large soup pot, and saute the onion and celery with the spices for about 3 minutes. In a large Pyrex measuring cup, combine the cornstarch with the broth. Whisk this into the sauted vegetables in the large pot. Add the potatoes. Cook for about 15 minutes over medium-low heat. Stir occasionally. Add the drained clams and the half-and-half. Simmer over low heat for another 10 minutes or until all the veggies are tender. Add cheddar cheese, and stir until melted. Adjust seasonings if necessary. For other healthier recipes, check out Slightly Indulgent Tuesdays at Simply Sugar & Gluten Free. 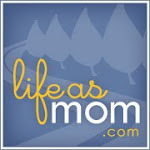 For other fish & seafood recipes, check out Ultimate Recipe Swap at Life as MOM this Thursday.